Here at Hushed Commotion we love a destination wedding or international bride just as much as the next gal. In honor of our international and destination wedding brides we put together our favorite HC pieces matching with dress designers from around the world. Joelle Perry is an Oahu, Hawaii native whose effortless and streamline dresses make us dream of beach weddings. Paired with our Joan earrings and Bennet fringe belt because nothing says "I DO" in Hawaii like some turquoise and fringe! Dreaming of a modern romantic Tokyo night with this Yumi Katsura gown. 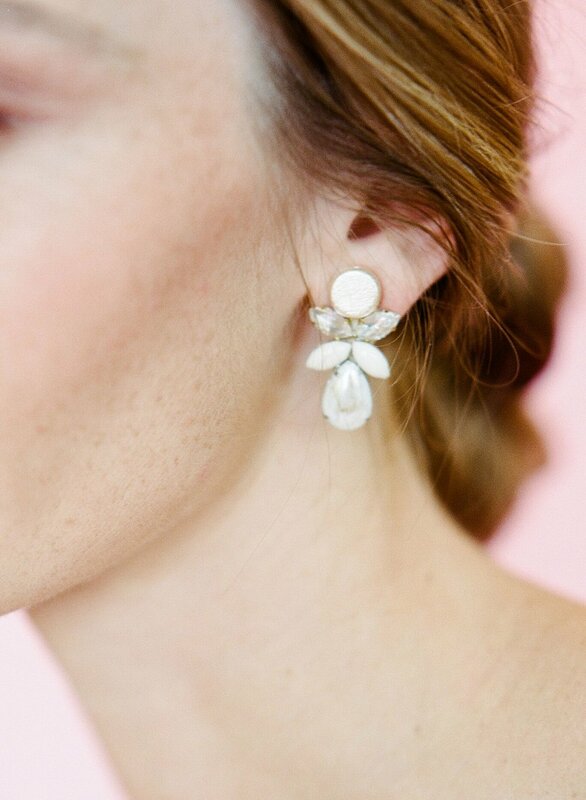 When we think of Tokyo brides we think of geometric modern flair mixed with easy feminine touches - this makes the perfect combination of our Percy tiara and Mira earrings. Now who wouldn't want to get married under the Eiffel tower? Our Parisian brides are nothing but pure fashion and style. 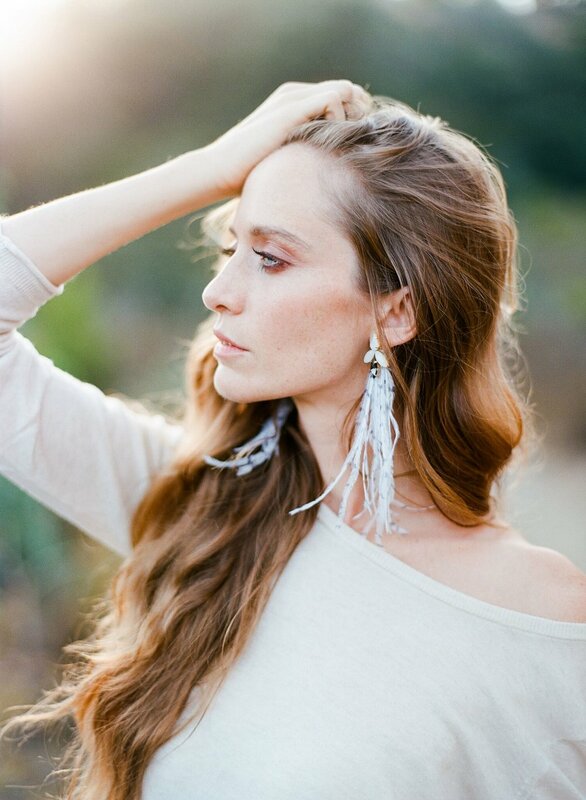 We love french wedding dress designer Laure de Sagazan paired with our silk tulle veil and Norma speckled ostrich feather earrings. When we think of our Tel Aviv Brides we think of city to sand weddings. The white bauhaus buildings in Tel Aviv make the perfect backdrop for an all ivory look followed by a ceremony at the Jaffa, Tel Aviv port right on the water. Designer Lihi Hod easy and effortless but very fashion forward gowns are what we think of when it comes to Tel Aviv brides - pair with our Jessi earrings and Ames hair chain for the most perfect boho finishing touches. We are sure you already know of Grace Loves Lace. Their sweet modern bohemian dresses are the perfect fit for a Sydney wedding paired with geometric and sweetly modern HC. Our Morris earrings and out Australian best seller Carson hair comb.